Our coverage of the 2016 Pro Flight Finale is presented by Friction Gloves; all opinions are those of the author. Please support the brands that make Ultiworld possible and shop at Friction Gloves! In what seems like just enough time to wipe a sweaty brow and line up for another set of 40-yard shuffles, the 2016 regular season will come to an abrupt conclusion this weekend at the Pro Flight Finale in Vancouver, WA. 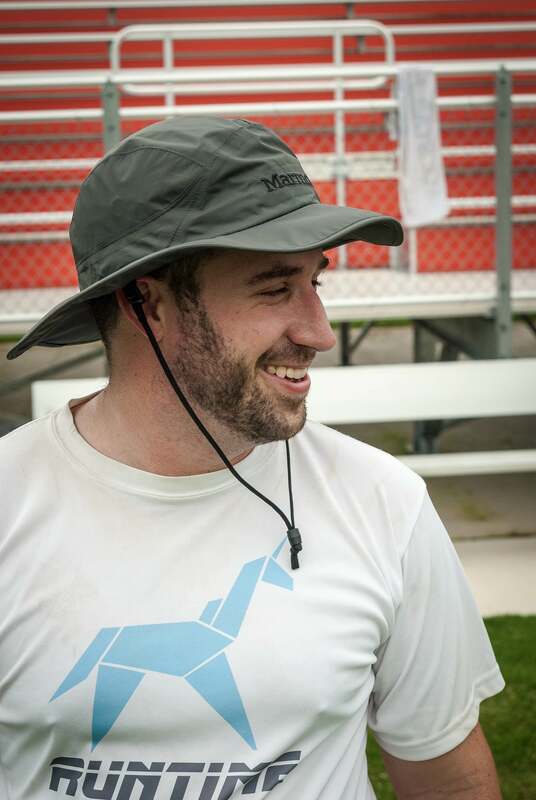 It marks the earliest termination for regular season play since the introduction of USA Ultimate’s Triple Crown Tour1 and it will effectively provide a first look, in the men’s division, at true rosters for some of the top competitors. Weather services are predicting the hottest weather the region has faced since a bizarre heatwave hit Oregon in early June, especially after cooler temperatures defined much of July. It’ll be a hot one just outside of Portland this weekend, particularly during pool play on Saturday. Not that that spells a ton of trouble — the division’s best know that the club season in the US always offers a few unbearably hot weekends, and Pro Flight’s top-billed squads will be ready. Numbers below are from current Ultiworld Power Rankings. #3 Washington D.C. Truck Stop snagged the number one seed for the tournament, while slipping out of the top spot in the latest rankings from USAU after a loss to Boston Ironside last weekend at the Chesapeake Open. D.C. made their biggest statement so far this season, a dominant away win over Denver Johnny Bravo on their home turf, just a few weeks back at Colorado Cup. Truck arrives in Vancouver with an 11-3 record,2 riding a roster that is nearly identical to the 2015 group that nearly put San Francisco Revolver away in quarterfinals during last year’s Club Championships. Each of their 11 wins has come by three or more points, a sign that when D.C. is in synch, they win by good margins. The engine that drives this team has now logged quite a few seasons together. Alan Kolick, Markham Shofner, Jonathan Neeley, and Calvin Oung will power the backfield, while Peter Prial, Jeff Wodatch, Nicky Spiva, and Tom Doi churn up yards downfield. This year, Sean Keegan returns to Truck after two seasons with Bravo, and he’s made an immediate impact with his speedy downfield play and knack for coming up with trick catches. John Wodatch has joined the team as well after a college season with UConn that earned him Second Team All-American honors. David Cranston continues to anchor the D.C. D-line, surrounded by a tenacious core of smart defenders, nearly all of whom have at least two seasons (if not quite a bit more) on the team. The year-over-year consistency seems to be paying off for Truck on both sides of the disc. 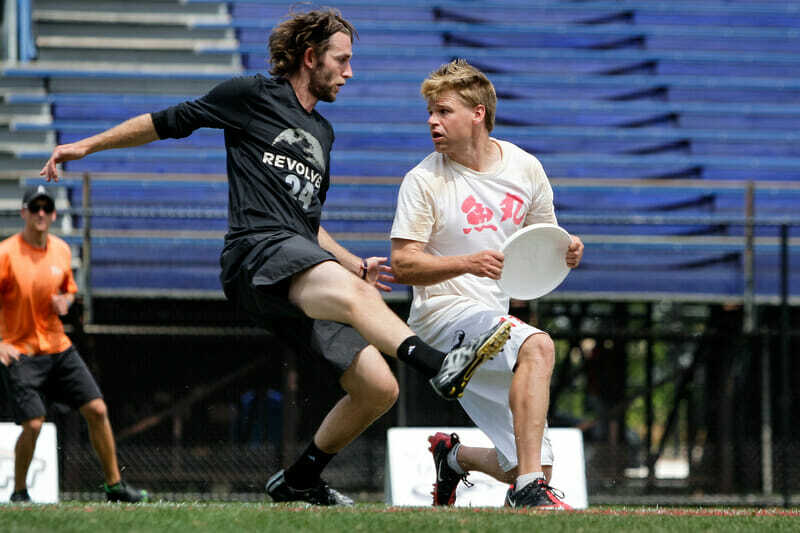 Kolick and Shofner have logged many crunch time minutes for both this team and the AUDL’s D.C. Breeze, and that’s begun paid dividends when it comes to sending the disc long for Wodatch and Doi. Spiva, Prial, and Keegan can flex to either line when called upon, although chances are Truck, like the rest of the teams this weekend, will still be tinkering with their lineups. And Saturday will be great for tinkering. With Seattle Sockeye and Revolver sitting in Pool B, Truck Stop needs only to finish third in their pool to stay alive in the bracket. None of Austin Doublewide, Portland Rhino, and Minneapolis Sub Zero has logged a tournament title, nor even a notable win so far this season — but that’s in part due to how short a season it’s been. D.C.’s coach Mike LoPresti has also already had a good look at Doublewide when his team logged a 13-7 blowout win at the Pro-Elite Challenge. Even Sunday could still be experiment time for this D.C. team. With their regional rivals Philadelphia Patrol and Pittsburgh Temper turning in unremarkable regular seasons, Truck Stop is again a heavy favorite to win the Mid-Atlantic.3 So what could be better? A number one seed, a seemingly easy route to the bracket in Vancouver, and an already solid season good enough to keep them in the top 10 of the rankings — that’s a good setup to relax and focus on themselves this weekend. Without the pressure — and without the presence of Ironside who hold the key to beating this team — it’s a bright outlook for D.C.
#1 Seattle Sockeye brings nearly the entire arsenal of the AUDL runners-up Cascades to Vancouver this weekend, which includes three of their big acquisitions this year: Nick Stuart, Simon Montague, and Husayn Carnegie. It’ll also mark 2016 Callahan Award winner and Ultiworld All-American Trent Dillon’s second appearance in a Seattle kit, after having had the last month and a half to find his groove here in the Pacific Northwest. While the Fish have often prided themselves on quick movement and break throws running the disc through virtuoso handler Danny Karlinsky, the additions of Stuart, Montague, and Carnegie to the cutting core alongside Matt Rehder make this the most vertically-inclined Sockeye of recent memory. Karlinsky is back to run the show, along with Reid Koss, Mario O’Brien, Justin Lim, and a healthy Dongyang Chen, all of whom are movement specialists with the disc. But there’s a measly sample size of club games for this roster (SPOILER: it’s the same story for Revolver). Sockeye is 5-2 so far in 2016, with a surprise loss to Madison Club and a finals loss at the US Open to Chicago Machine.5 In USAU sanctioned play so far this year, Seattle’s 16-15 win over a not-full strength Revolver stands out, but that’s about it. And unlike Truck Stop, Sockeye hasn’t always comfortably held their regional title. They’ve stumbled before at Northwest Regionals when Rhino has been hot. This weekend should act as a measuring stick for both Seattle’s ability to practice well and it’s ability to transition back the club field. If they arrive with their cups half-full, they’ll be excited at the chance to notch a win in the last round of Saturday play against Revolver. They’ll have to try and avoid taking any serious lumps from Johnny Bravo along the way, and they heavily outweigh Kansas City Prairie Fire and Indianapolis Brickyard in talent. Between semi-professional play and the WUGC commitments, Revolver’s only logged six games together on the club field so far on 2016. They failed to make the final at their one tournament so far, the US Open. But that doesn’t change the strong foundation of incredible success behind the defending champs, who’ve also benefitted from their own influx of seasoned talent this season. Byron Liu and Grant Lindsley have both, by now, had their first big helpings of IHD8 and Joel Schlachet used the Worlds’ stage earlier this summer to show the entire division that he’s as deadly in the endzone as his more-often mentioned teammates. There’s no doubt that Joye’s ability to put the disc anywhere on the field, for anyone on his team, has required a bit of rejiggering around the offense in practice. This was a remarkably good time for Stubbs to return to the club division — he’ll be able to put his big throws to work this weekend, and won’t be operating in Joye’s shadow, at least for now. While Seattle has shown what they are capable of this year via the Cascades, the ceiling for this championship San Francisco team is still unknown. And that’s got to be just the way they want it. While they have more than enough talent to push through to a title this weekend, their mental toughness set them apart in 2015. Forget not their dismantling of Sockeye in last year’s national final, nor their machine-like comeback against a red hot Truck Stop in quarterfinals. Revolver makes their mark on the division as an usually cool and focused team, with excellent communication and in-game adjustments. The ice water in their veins will likely help this weekend. #10 Austin Doublewide arrives this weekend as the fourth seed at the tournament and #6 rating in the USAU rankings. But there it is again — that pesky small sample size of games. Austin has only played at Pro-Elite Challenge so far this year, which makes for a 4-2 record on the season with losses to Truck Stop and Ironside. Their floor has steadily crept higher since an exodus of talent left them two seasons ago, but breaking through to the level that brought them a championship in 2012 has been difficult without a healthy Kurt Gibson (especially when he left the team for Bravo for two seasons). A team that was once defined by Gibson and his life-Race partner Brodie Smith is now squarely in the hands of Chase Cunningham and Brandon “Muffin” Malecek. But change is good. There is youth alongside Cunningham on this team that will only improve against the stiff competition this weekend. They will also have a chance to scout regional rival Johnny Bravo, even if the two don’t meet in the brackets on Sunday. Doublewide will have a chance to coalesce this weekend, and any wins against the top three seeds should solidify their solid position in the USAU rankings. #5 Denver Johnny Bravo, on the other hand, may have had the best look so far at the largest grouping of teams in attendance this weekend. They are 10-2 this season, with wins against five of the other nine teams in the field. That includes a victory over Truck Stop. As always, Denver will lean a little on their stalwart star, Jimmy Mickle. Henry Konker also continues his run with the team, after making a solid impression on the WUGC US National Team as a role player. The squad has a number of excellent young players including Stanley Peterson, Mark Rauls, Wes Chow, and standout rookie from Oregon Ego, Will Lohre. Bravo has returned often this year to a vertical stack offense that looks a lot like Mamabird’s, and it makes sense given how much of their roster has gone through Boulder (and that their new head coach, Jim Schoettler, was the architect of Colorado’s vert stack). This weekend will serve as a great test to see if that system can speed up enough for some meaningful wins over the teams ranked above them, while fending off the teams below them. #11 Portland Rhino will start the weekend with a shot at revenge against Doublewide. They’re 8-6 this summer, although only one of those wins has come against the Pro Flight Finale field — a close 12-11 over Sub Zero in pool play at the Pro-Elite Challenge. Playing as the hometown heroes this weekend will likely prove to be a challenge as the six seed. Rhino always brings a heavy dose of speed to the table, and the team has played with intensity and heart in moments when onlookers may have doubted their ability to win. They’ve got a great history of catching their regional rival Sockeye looking ahead to their next game, and they’ll be ready to strike this weekend against any of the top teams that dare to relax. Then again, Rhino sputtered to a tie for last place at the 2015 Club Championships, finished fifth at the Elite-Select Challenge this season, and eighth at the Pro-Elite Challenge a few weeks ago. That doesn’t necessarily spell success against the five teams above them this weekend, but it does it suggest that they should be able to handle the four teams below them. What’s In It For The Bottom Four? Prairie Fire finished 2015 tied with Truck Stop for 7th in the country last year, and that’s the highest national standing mark for the 7-10 seeds in this weekend’s men’s division. But that was last year. #25 Inception, long the second team in Denver, will take the biggest regular season stage they’ve seen in quite some time. They qualified for this weekend with a fourth place finish at the Elite-Select Challenge, but most recently put up a dismal 1-5 weekend at the Pro-Elite Challenge. It’s not a record to marvel at when it comes to speculating on who will finish as the top dog this weekend or this season, but it’s good to see a team like this fight it’s way into the finale event when the Triple Crown Tour has been facilitating a lot of player movement toward the top five or six teams. Some of that roster churn has directly affected #19 Minneapolis Sub Zero, who lost both Montague and Stuart to Seattle. Those two have long been the firepower for the Minneapolis team, but that role has been passed fittingly on to a core of excellent young players from 2016 college champs Minnesota Grey Duck. That likely won’t do much to crack into the upper end of the bracket this weekend (or even, perhaps, at Club Championships), but the chemistry will be there for Sub, maybe enough to break seed if Bravo, Doublewide, or Rhino slips. #18 Kansas City Prairie Fire and unranked Indianapolis Brickyard will be scrapping for any big wins (or close losses) that could pull them into the nation’s top 16 when the algorithm gets its final regular season run next week, although with all of the top teams looking to coalesce this weekend, that’s a tall order. Comments on "Pro Flight Finale 2016: Tournament Preview (Men’s)"